The Nigerian lower house has offered to help chase Stephen Keshi out of the country as there is still no clear resolution over the a new contract for the coach. "I have heard sweeping comments from your President and the man you say you intend to employ, Keshi, and both men have men on each other’s neck. I have tapes of their comments and this is very shameful," said Gaiya. "I have it on good authority what you the NFF want, but it seems you don't have the guts to tell Keshi. "We have seen the pains that Nigerians have gone through in the last days of Keshi on the job. Is it that you want us to continue in prayers when the Super Eagles file out for any game? 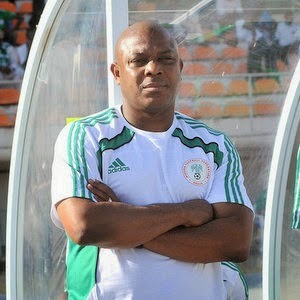 “Recently we have resorted to praying for Keshi to get another job so that you the NFF can be bold to take a decision. "If you people don't have the boldness to tell Keshi to go, we are ready to help you. We will call a meeting both you the NFF and Keshi and tell Keshi that he should go. 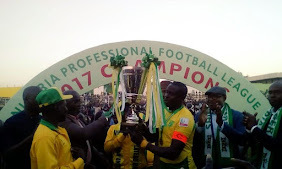 "The Nigeria Football Federation will on Wednesday meet with the NFF over the contract offered him.